The online world can be a scary place as the integration of the Internet into everyone's lives has also brought with it an ever-increasing trend towards malicious activity. Learn how online businesses can instill trust and confidence in their web sites, protect valuable brands, and safeguard customers' sensitive information. It is critical to choose e-commerce security solutions that continually evolve and extend to address a range of ever-changing needs. 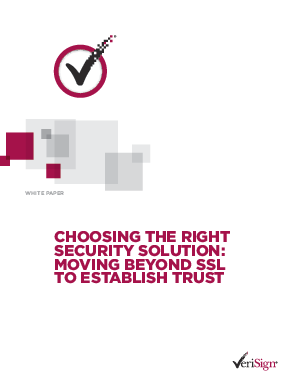 SSL-based security platforms with solid track records of meeting new challenges are the best way to defend, and future proof, e-commerce environments against a growing and dynamic Internet threat environment.